This program estimates the Barometric pressure at height H (given in meters). This formula tends to work the best when H < 11000 m (approximately 36,089.24 feet). The value of R varies. The constant stored in the fx-5800p is 8.314472. Since this program uses values from built in constants, this value is used. At 11,000 m, the pressure is estimated to be 27,500.16552 Pa. The program HISTOGRAM draws a histogram for up to four data points using the Locate command. The screen of the fx-5800p has 16 columns and 4 rows. 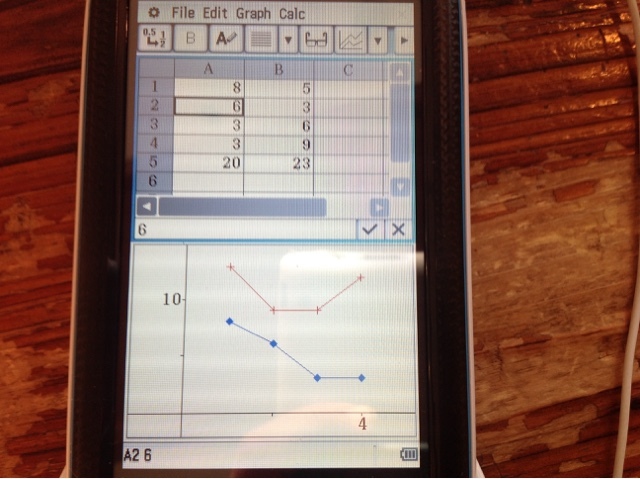 When all four data points that are 15 or less, including 0, the histogram is exact. If any data point exceeds 15, an approximate histogram is drawn as all the data points are normalized. (Go to work with the limitations of the fx-5800p). 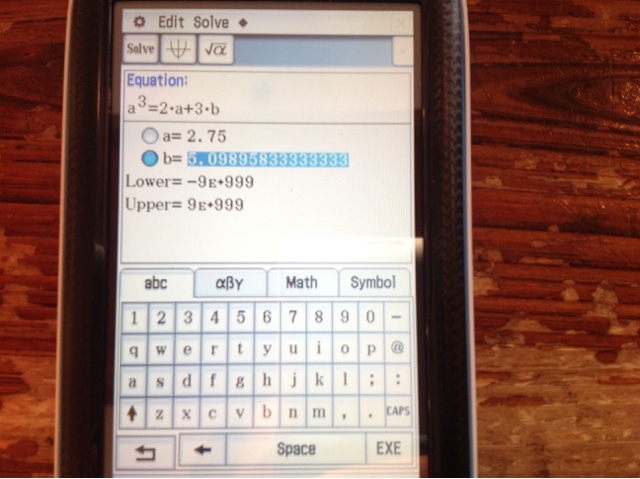 Important: Switch the calculator to Degrees mode before calculation! 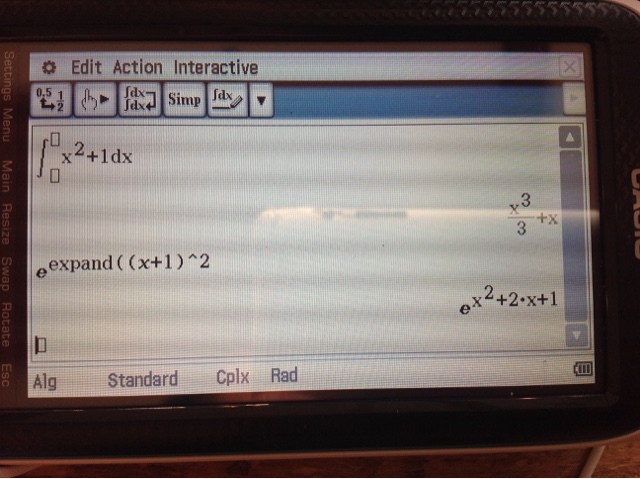 This program uses a loop to determine Σ f(X) from a to b. The function f(X) starts on Line 22. Use Memory Register a as X and finish the function with RET. The sum is stored in Memory 0. The listing here uses f(X) = X^2 + 1. 18: 59 ; X>=0 // is a - (b+1) ≥ 0? Σ x^2 + 1 from x=0 to x=5. Result: 61. 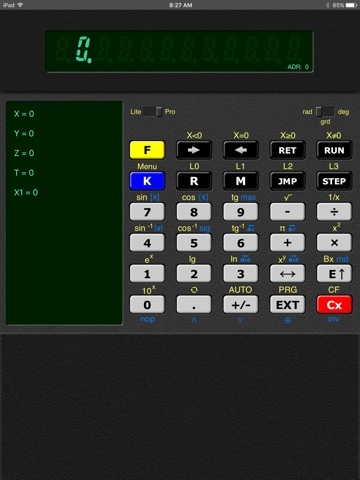 The PrgCalcPro is based on the Russian scientific calculator Elektronika MK-61. The MK-61 was in production from 1981 to 1993. Originally the MK-61 had 15 memory registers and 105 steps. There are Boolean operations but no built in statistics mode. 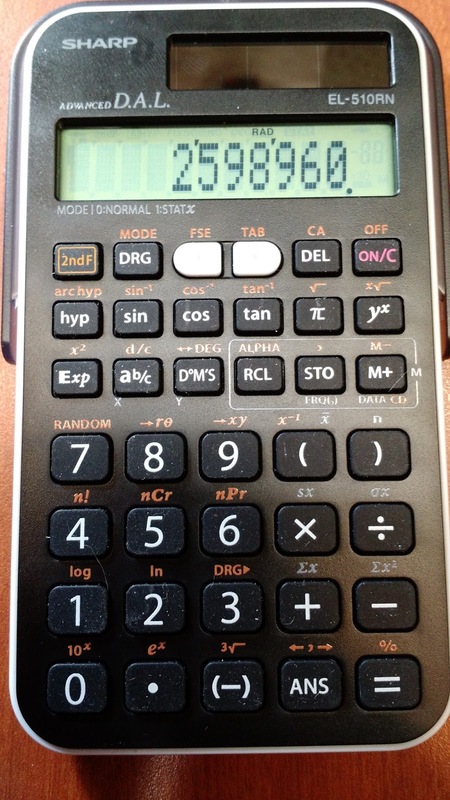 The PrgCalcPro and MK-61 operated by Reverse Polish Notation (RPN), like the Hewlett Packard calculators. 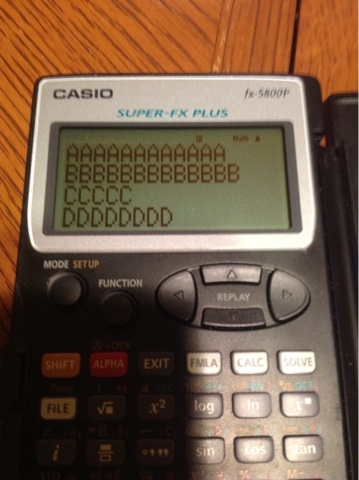 The calculator has 4 stacks. M is STO, R is RCL. There are 15 readily accessible memory registers available from the keyboard: 0-9, a, b, c, d, and e.
Angle mode is determined by a manual switch. Unfortunately it can't be programmed (I don't think). MAX. The maximum of y and x. A small recycling symbol ([ F ], [ . ]) represents the Roll Down function. x^y: Power function where the base is on the x stack and the exponent is on the y stack. The exponent remains of the y stack upon calculation and is not "consumed". This blog entry will have basic programs, and additional programs will follow on the next few blog entries. Keep entering numbers using n, [RUN]. When you are done, enter 0, [RUN]. The display will show sum (memory 0), press [RUN] to get the number of points (memory 1), and finally press [RUN] to get the average. 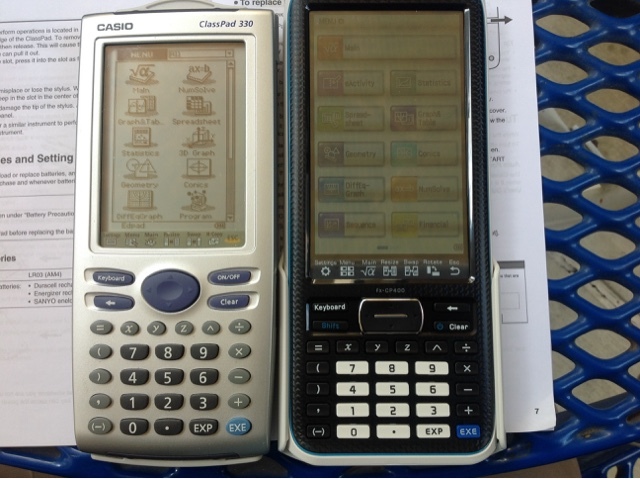 The tests for the ProCalcPro (and the MK-61) work slightly differently from Hewlett Packard RPN programming calculators. If the number in the display is non-zero (test is true), then recall memory register 0 and add the number to it. If the number is zero (test is false), skip to line 15. Store A, B, and C in the a, b, and c registers respectively. This blog is properly of Edward Shore. 2016. 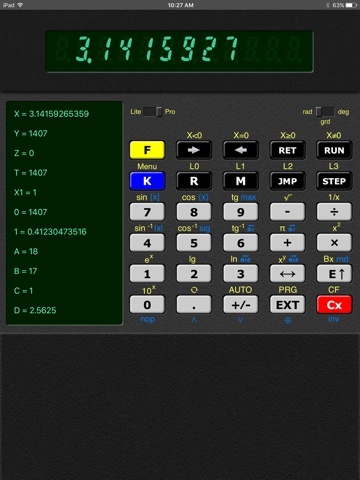 This is a basic scientific calculator. Expressions are entered as-is and are evaluated by pressing the equals key. 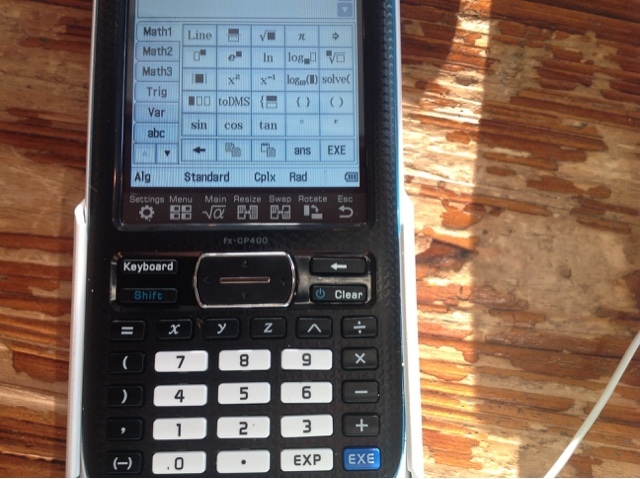 [ = ] The calculator is small, compact, and thin, and the keyboard feels real good. The numbers on screen are big, clear, and readable. * Three memory registers: X, Y, and M. M+ and M- are available. 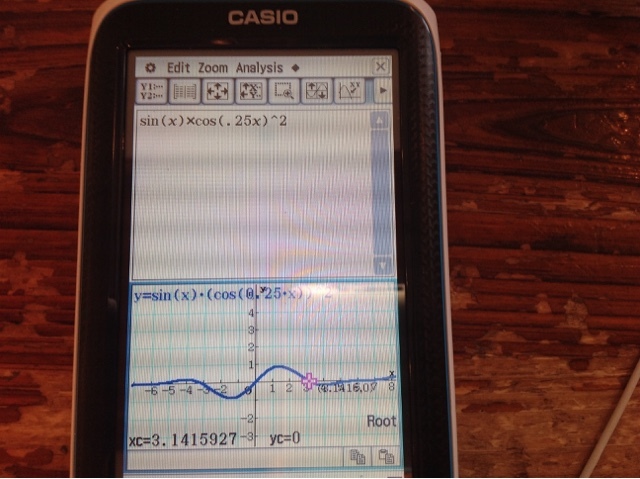 If you want a basic, compact scientific calculator, consider getting this model. * The number of rolls of wallpaper needed for a wall. * The number of tiles needed to recover a floor, given the area of a floor. 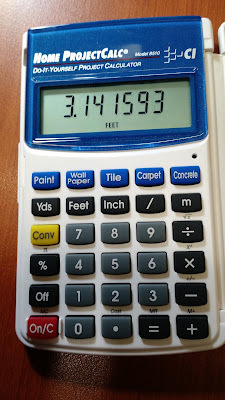 Common measurement of tiles are used in the calculation. * The length of rolls, of 12 feet, 13 feet, and 15 feet, of carpet to cover a floor. * The number of bags of concrete needed. 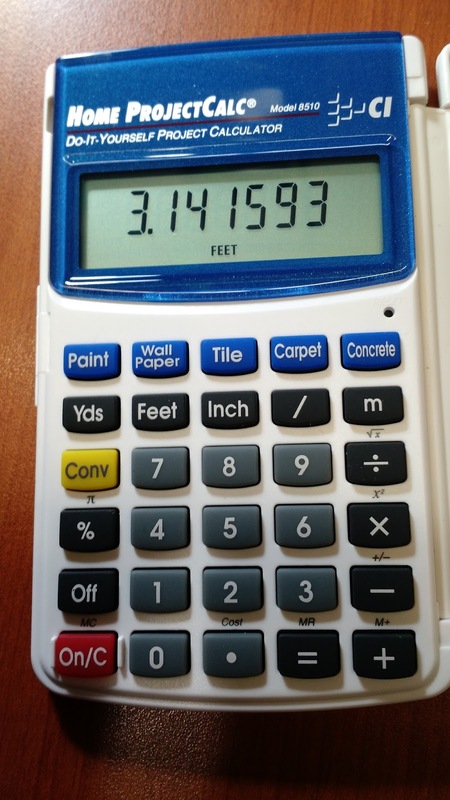 Another plus is the ability execute calculations in yards-feet-inch and meters, probably one of my most favorite features of the Calculated Industries calculators. We can also work with measured areas and volumes. 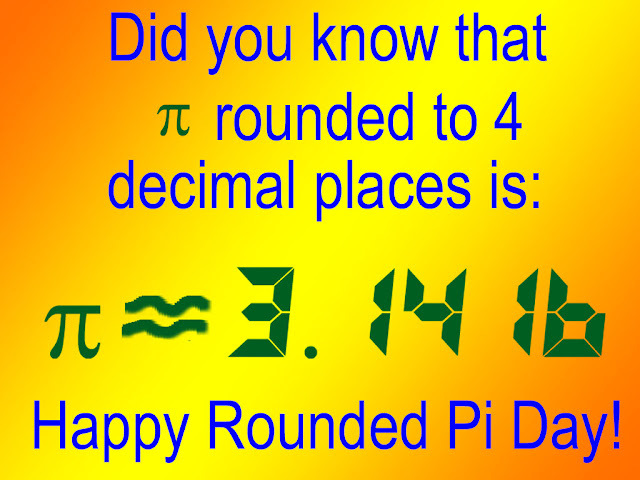 The π key returns the rounded value of 3.141593. 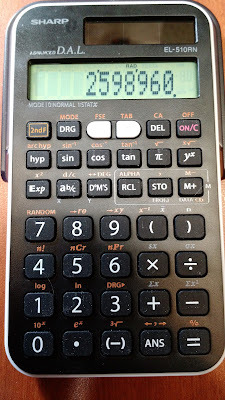 The complex mode of the Casio fx-5800p, and quite frankly, most graphing calculators of Casio have limited capabilities working with complex numbers, limited to arithmetic, and powers to real numbers only. These three programs extend that functionality. The input is stored in Z, output is stored in X. The error is the order of 1 + O(N^-8). Like the Sterling approximation formula, this formula is a better approximation as N increases. Here a test of some random values to compare accuracy.